The villa has 4 bedrooms all with dressing rooms and en-suites, but sleeps 10 comfortably with the use of the sofa bed. 'D2K' has the magical benefit of having the first glass roofed atrium, allowing you to enjoy the sunlit days and amazing starlit nights. 'D2K' also has disabled access, and assisted en-suite facilities to one bedroom. The guitar shaped swimming pool, has to be the talk of Dalyan giving any visitor the 'feel' of celebrity status!! 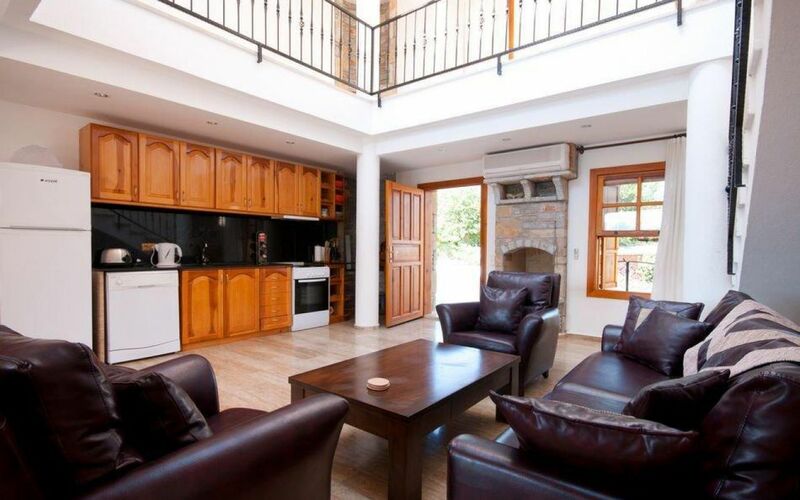 The big advantage to this villa is the all year round accommodation, with the open fire and central heating indoors.